Phemonoe Lab has supported the production of an infographic that graphically highlights the EU supported International Cooperation in Research, within the Framework of Horizon 2020 and FP7. 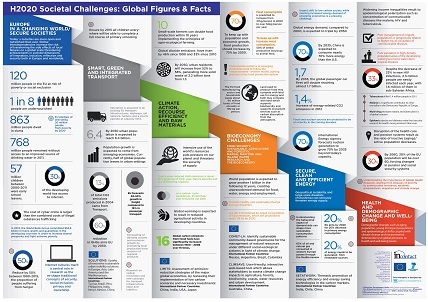 This infographic specifically presents the Societal Challenges adressed by Horizon 2020, which is the biggest EU Research and Innovation programme ever with nearly €80 billion of funding available over 7 years (2014 to 2020). 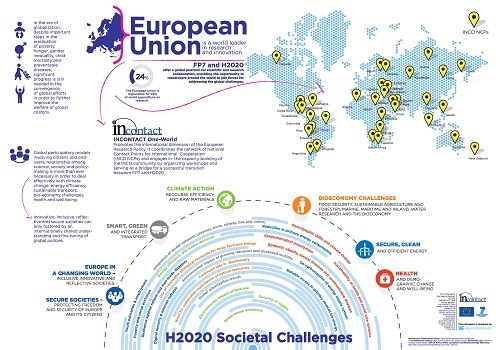 The infographic was produced by INCONTACT, a project supporting the international dimension of the EU framework programs. The Phemonoe lab, being the Greek Node for the Millennium Project, has provided input and data from the State of the Future 2012 report, a report produced annually by the Millennium Project.